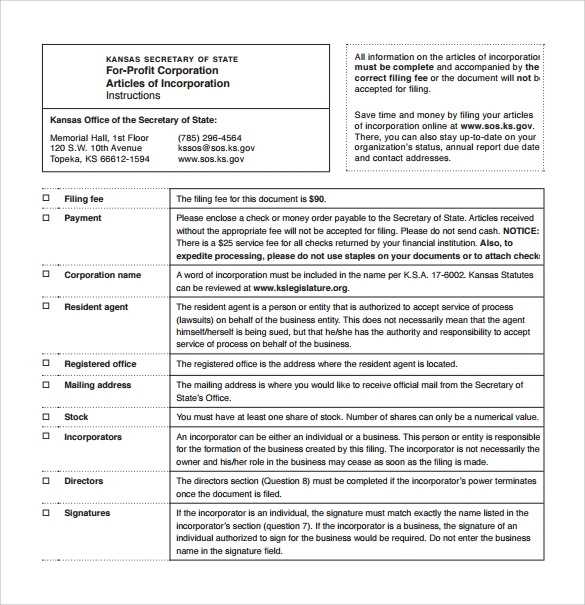 This template is basically used for submitting to the registered office after completing the fill up form. This is designed in such a way that it can be easily filled up with no hazards. 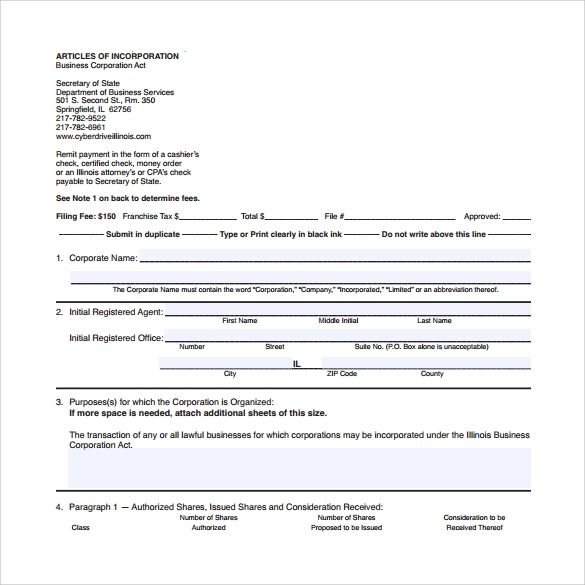 In the first portion of the template there is an area where the name of the corporation along with the authorized issue needs to be submitted as an important manner. Initial directors’ name and address should be given in such manner that it can easily be edited with no hassle. User can input their own points as per particular requirements. As its name depicts, it can easily be printed with ease of sharing features. 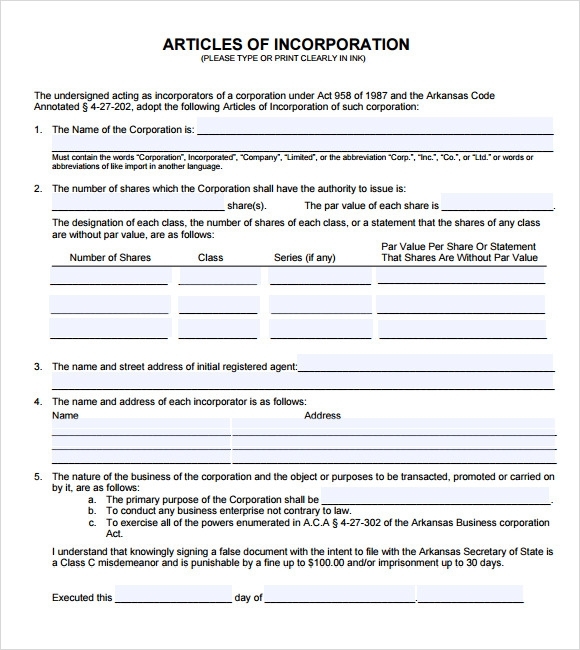 This includes various points such as the corporation name; the numbers of shares which corporation shall have the authority to include are included here. Number of shares, class, series and par value per share tab are included here so that reader can get a clear picture of the article which is entitled here. Here mainly two sections are present. 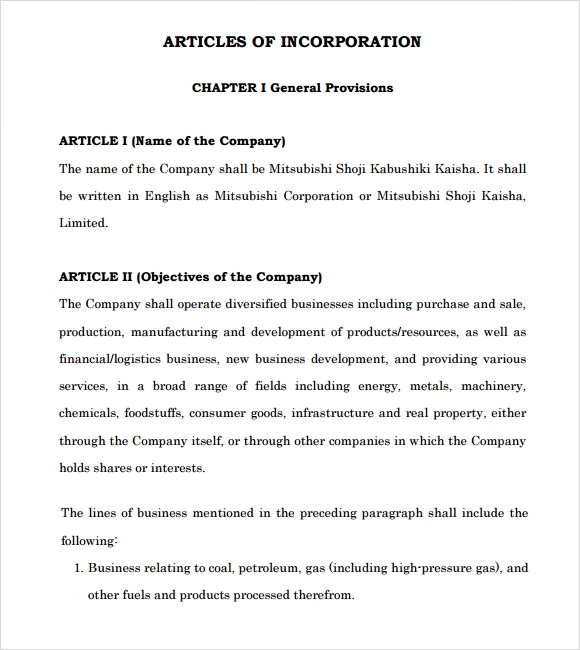 In one section the name of the company name is given where user can include short description about the company and in the other point where other objective of the company is described. It has clearly mentioned points all their detailing so that reader can get a short glimpse of the company and their end over. It is available in both print ready as well as PDF formats so that it can shared easily. 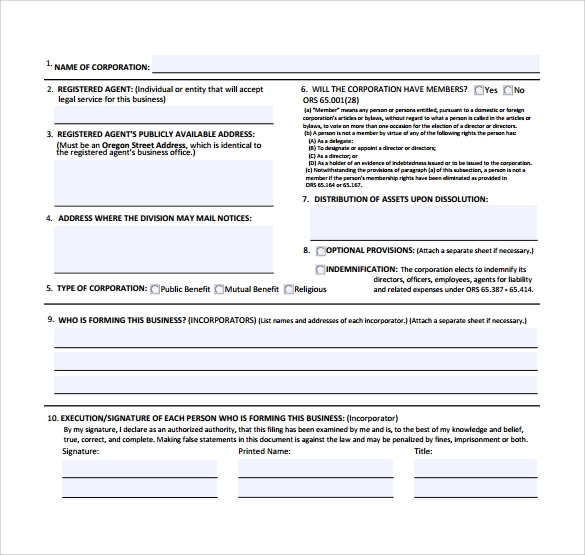 This template comes with vivid description of the company name along with duration, its purposes, and the description of the members. This is fully designed in such a way that, the purpose section is clearly and well elaborated. Here it is also described which particular law and order they are following with their full research and development as well. 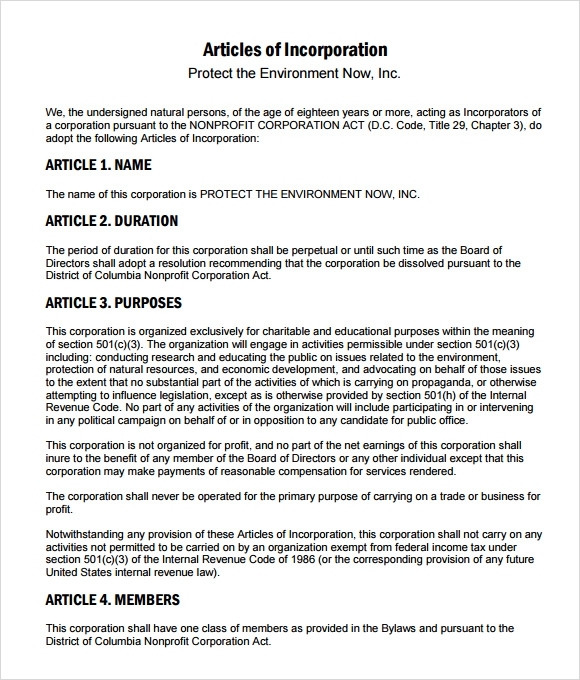 It is also written very clearly that, it has never been operated for the primary purpose of carrying a trade or business for the profit as well. 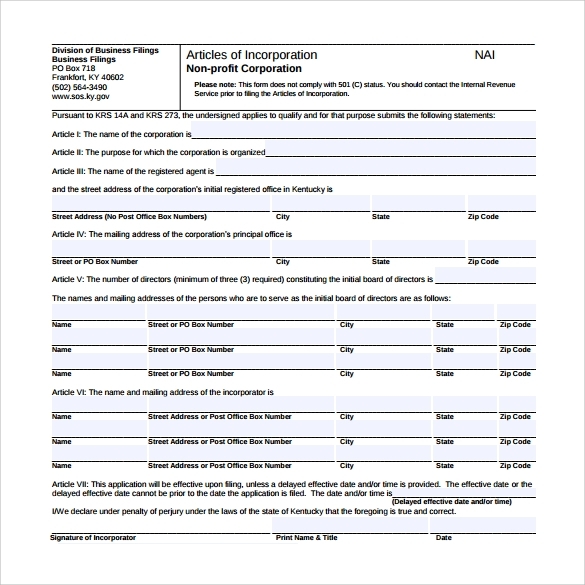 Why Do We Need Articles of Incorporation Templates? If anyone wants any of this to be downloaded that can also be done easily as it does not requires any charges. Easy to use is the second important features of this template, so that anyone can modify it with nominal investment. 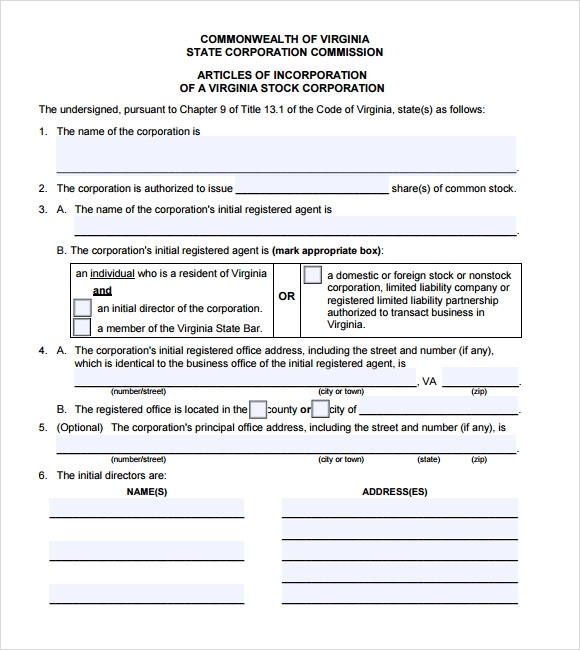 When Do We Need Articles of Incorporation Templates? Need to write down all the details that need to be filled up and then can be shared with other persons as well. This can also be easily be downloaded and can be edited as well. So if you are in hurry to represent one template that contains all your information, then write down all the things. After that simply download any of these and make them editable so that you can put your own points as well.